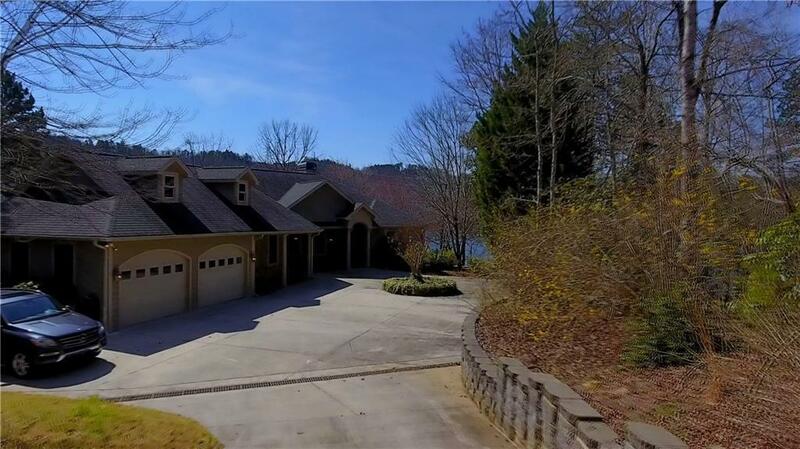 You must see one of the most inviting homes currently available under one million dollars on North Lake Keowee. 180 degree lake views!! New hardwood flooring, stainless steel appliances, carpet, light fixtures and freshly painted. Unique North Lake Keowee waterfront home positioned less than 25 feet from the water. If one of your clients has ever wanted to truly live close to the water, this home allows them a very distinctive opportunity. 5144+/- square feet with 5 bedrooms, 4.5 baths and a bunk room. Situated on .55 acres with 150+/- feet of deep year round water. Outdoor entertaining at its best with decks and patios encompassing the entire width of the home. At the waters edge, you will discover a lakeside covered gazebo extended out into the lake and a covered dock in place with (2) jet ski lifts, boat lift and a diving board for the young at heart. The main floor great room is designed to invite the outdoors in by combining a tongue and grove cathedral ceiling and floor to ceiling windows with panoramic views of the lake. A massive rock fireplace and hardwood floors compliment the great room spaces. A master suite, guest suite and sitting room are also located on the main floor and all have excellent views of the lake and hardwood flooring. The guest suite also features an intimate indoor/outdoor shower area with additional scenery of the lake. The fabulous kitchen features custom wood cabinets, granite countertops, new stainless steel appliances and hardwood flooring. Adjacent to the kitchen is a private study area currently used as an office and hobby room. The lake level has also been updated with carpet and paint. You will also find a second guest suite and two additional bedrooms, a bunk room and also an open recreational area. A kitchen, additional laundry room, a workshop and storage area also compliment the lake level of the home. Additional features include tray ceilings, professional landscaped yard, irrigation system and a lakeside ZIP line. The community features a private boat launch and a pavilion area. The dock has a new ramp and all new floats. Solar panels were added in 2017. Duke Power told the owner they zero out at the end of the year. So imagine no power bills!! !